Argentine midfielder Claudio Yacob has joined Nottingham Forest. The 31-year-old, who was a free agent after leaving West Bromwich Albion last season, has signed a deal until the summer of 2020. 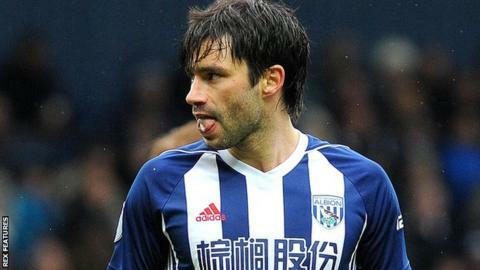 Yacob, who won three caps for Argentina between 2011 and 2014, had spent six years at the Hawthorns where he scored twice in 175 matches. He is the second free-agent to join this week - Panagiotis Tachtsidis signed a similar deal on Thursday.